This gumbo recipe is a hearty version of the traditional creole dish, a warm fulfilling dish with just the perfect amount of spiciness! It is inspired by M&S Spirit of Summer range that celebrates the best of the Americas, consisting of 300 delicious new food and drink products. 1. Dice the onions, the green pepper and the celery sticks. Mince the garlic cloves. 2. Skin and de-bone and cut into chunks the chicken thighs. Peel the King prawns. Chop the flat leaf parsley. Chop the fresh thyme. 3. Combine all the spice mix ingredients together. 1. Melt the butter in a large saucepan over low to medium heat, before adding the flour. 2. Cook for 15-20 minutes, stirring constantly – it should have a deep, nutty brown colour by the end of this process. This is your ‘roux’. 3. Add the onion, pepper, celery, garlic and the spice mix to the roux. 4. Cook altogether over a moderate heat for 20 minutes, or until the vegetables soften, stirring regularly. 5. Add the chicken stock and water, combine well and bring the mix to the boil. 6. Reduce the heat, and leave to simmer for 1 hour 30 mins, skimming the surface as needed. 7. When the gumbo sauce is almost ready, in a separate, large saucepan or pot, heat up 1 tbsp olive oil over medium heat and fry the chicken thighs until well caramelised/browned. 8. Add the gumbo sauce to the pot with the chicken, and bring the whole mix to the boil. Reduce the heat and simmer for a further 10-15 mins, then add the prawns. 9. Give the whole mix a gentle stir through, then remove from the heat. Stir in the chopped parsley last. 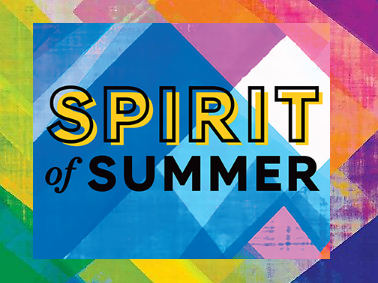 This summer Marks & Spencer is celebrating the best of the Americas with the launch Spirit of Summer –consisting of 300 delicious new food and drink products. The food experts at Marks & Spencer have travelled throughout Central and South America, as well as to the Southern States of the USA, visiting street food stalls, scouring restaurants and pop ups to find the latest food trends and dishes, creating the most exciting Marks & Spencer summer offering yet. Bursting with innovation, Spirit of Summer is full of exotic and powerful flavours to take you on an exotic trip to warmer climes. Tangy explosions of tropical fruits like Lime, Pineapple, Mango and Guava appear in everything from Salmon Skewers with Lime, Chilli and Mint to Cucumber & Lemon Agua Fresca.